So there’s this awful and archaic process that Veterans have to go through to appeal a denial of their VA Claim. One might even call it the “Road to Nowhere” – and the VA Statement of Case is just another mile-marker on that long, long road of appeal. I look at it a little differently. To Change the Way that Veterans Experience the VA Claims Process, Veterans must change our approach to the appeals process. 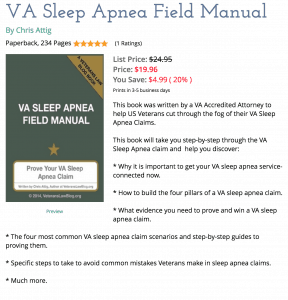 On the Veterans Law Blog, in my Field Manuals, and in my VA Training Videos, I teach Veterans the 8 Steps to Improving your VA Claim. Step #6 of that process is what I call “Choosing your Battlefield”. One of the battlefields you can fight on – and there are good reasons to choose this particular battlefield – is at a BVA Hearing. But to get to the BVA, you have to move your army – your VA Appeal – across a desert. 1) File a Notice of Disagreement. 3) VA Issues a Statement of Case. 5) Wait 2 more years. 6) VA certifies appeal to the BVA. 7) Wait 2 more years. 9) Wait 2-6 months for hearing. Insider News: Did you know a group of Veterans advocates – attorneys – lobbied Congress ins 2013 year to rewrite these regulations and ditch this process? They almost had the deal “sealed”…. but the big VSOs – the VFW, DAV, etc – got wind of what was going on. They stepped in and used their massive war chests not to help Veterans, but to block the effort to get rid of this archaic process and streamline the VA Appeals process. This process makes no sense – it’s archaic and outdated and serves no real purpose. In an Open Letter to newly appointed VA Secretary Robert McDonald, I asked him to consider scrapping this convoluted process and adopting a “One Appeal” process like you see in other administrative review processes. So, when you get a Statement of Case, what the VA is REALLY telling you is that they are going to battle you at the BVA. 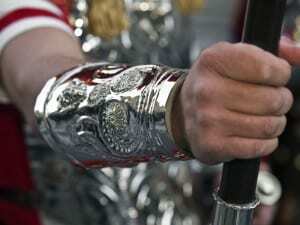 This is your signal to prepare for that battle. How do You Get a VA Statement of Case? When the VA Regional Office denies a Veteran’s claim for service-connected disability benefits, the Veteran has the option of appealing that decision to the Board of Veterans’ Appeals (BVA). There is a process that must be followed in order to “perfect the appeal” to the Board of Veterans’ Appeals (BVA). As the VA appeals backlog – the backlog that the VA created by “fixing” the claims backlog – continues to grow, it is becoming crucial that Veterans understand the process by which they appeal their claim to the BVA. The first step in perfecting an appeal to the BVA is for the Veteran to submit a Notice of Disagreement (NOD) with the VA Regional Office’s Ratings Decision. When the VA Regional Office receives the NOD, it then prepares and delivers a VA Statement of Case (SOC) to the Veteran. What is the VA Statement of Case? The VA Statement of Case (SOC) is statutorily required. It’s purpose is to explain to the Veteran the reason(s) that the Veteran’s claim for benefits was denied. TheVA Statement of Case (SOC) must provide notice to the Veteran of the relevant and/or controlling statutes and/or regulations on which the VA Regional Office relied to support its decision to deny benefits. So the first 15-35 pages of a Statement of Case are filled with boilerplate legalese – the VA makes no effort to have this make sense to the Veteran, and it certainly never explains WHY it is including various “cut and paste” copies of statutes and regulations. The last few pages of a Statement of Case are basically a “rewrite” of the VA’s explanation of its denial of your claim in the Ratings Decision. But read it carefully – a good bit of the time, in my experience, the VA tries to sneak some new basis for denial in the Statement of Case. When does a Veteran get a Statement of Case? Most commonly, the Veteran will get a Statement of Case after filing a Notice of Disagreement (NOD). It can typically take as long as 2 years for the VA Regional Office to issue a Statement of Case. The VA is fond of telling folks that it is “developing” the record in the points raised in the NOD – but my experience is that this is not true. In fact, in over 75% of the C-Files that I have reviewed over the years, there is little or no evidence that any action is taken by the VA between their receipt of the Veterans NOD and the issuance of theVA Statement of Case (SOC). Another time that a Veteran might get aVA Statement of Case (SOC) is after a DRO Review of their appeal. The DRO typically issues a Ratings Decision to grant claims and aVA Statement of Case (SOC) to continue the denial of benefits to the Veteran. How to Use the Statement of Case. The Statement of Case is often a multi-page document, with paragraph after paragraph of seeming incomprehensible legalese. This legalese represents direct quotes of the statute and regulations that the VA Regional Office relied on in denying the Veteran’s claim. Read it carefully – not only can the Veteran use theVA Statement of Case (SOC) to determine when the VA Regional Office is relying on “old” law, but also the Veteran can have some insight into the procedural defenses that the VA Regional Office is using to deny the claim. After receipt of theVA Statement of Case (SOC), the Veteran will take the final step in perfecting the appeal to the BVA by preparing and filing the Substantive Appeal on VA Form 9. This Form should be included in the VA Statement of Case (SOC) that the Veteran receives from the VA Regional Office. Deadlines Triggered by the Statement of Case. Even though the VA can take 2 years – or more – to issue a VA Statement of Case (SOC), the Veteran has only 60 days to prepare a VA 9 – the Veteran’s Substantive Appeal. The VA will then sit on the file for an average of 2 years and 3 months, and then certify the appeal to the Board of Veterans Appeals. The wait to get an appeal certified to the BVA can be a very long time – many Veterans believe that the BVA is where appeals go to die. Those are Statement of Case “basics”. What More do you Want to Learn? 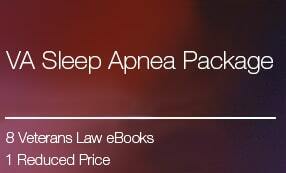 To learn more about the Statement of Case, watch this Premium Video walkthrough of a Statement of Case. 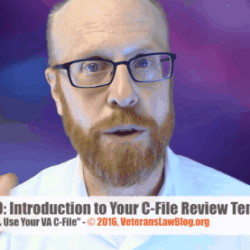 In this 27 minute video, I will show you exactly how to read and understand the VA Statement of Case, the hidden traps to look out for in this form, and how to use it to fill out a BETTER VA Form 9…. ….to watch the video though, you will need to be a premium member. Let me know your questions about the VA Statement of Case (SOC) by clicking on a the green button in the lower right corner and shooting me a message. 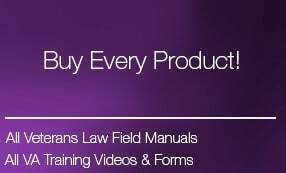 By the way, I’m working on another Veterans Law Field Manual – I haven’t decided whether I will make it video or eBook yet….let me know what you think. In that book, I will show you how preparing for the BVA hearing starts with a properly completed Notice of Disagreement, followed by a narrowing of issues at the DRO Conference. 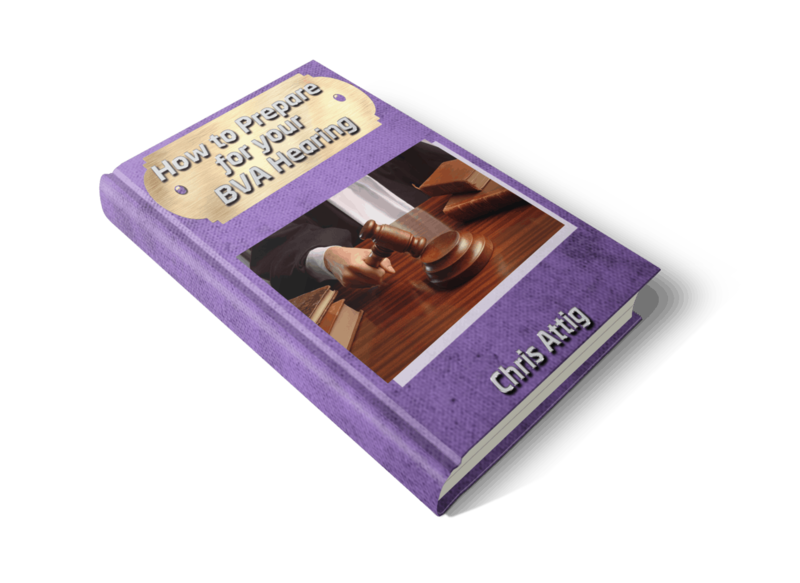 I will show you how I – as an attorney – get ready for a BVA hearing. Sign up to get an Early Release Alert by clicking here.